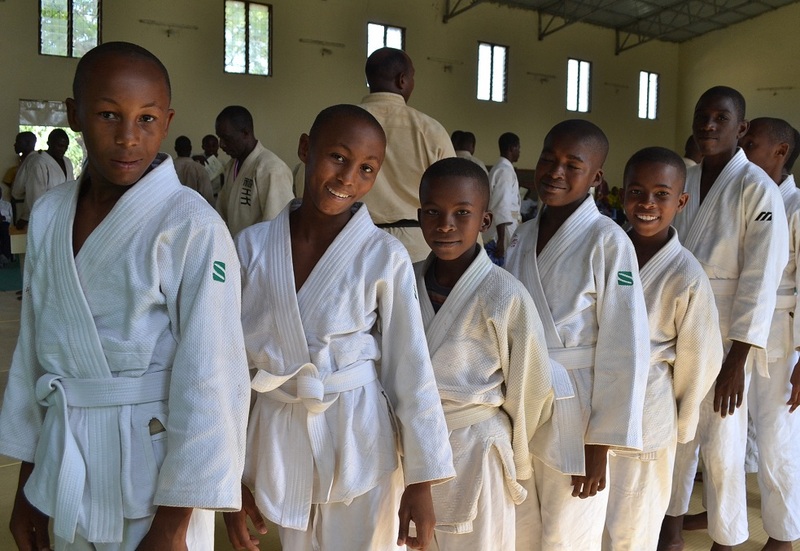 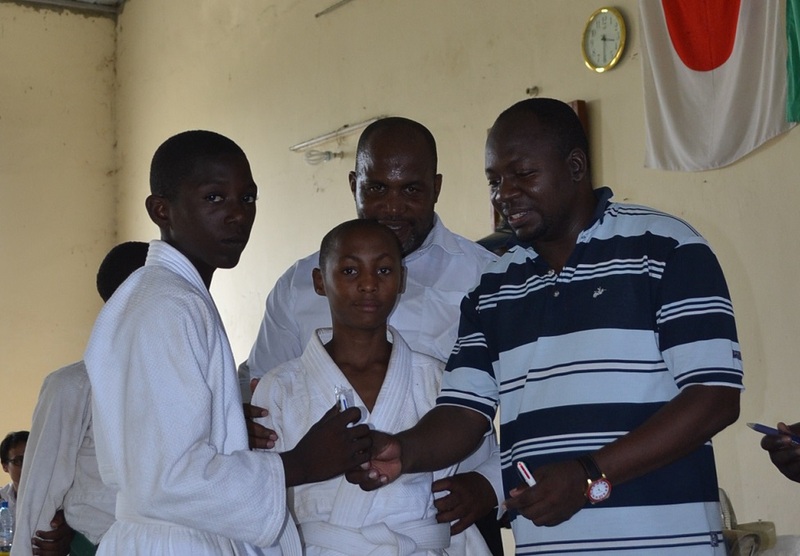 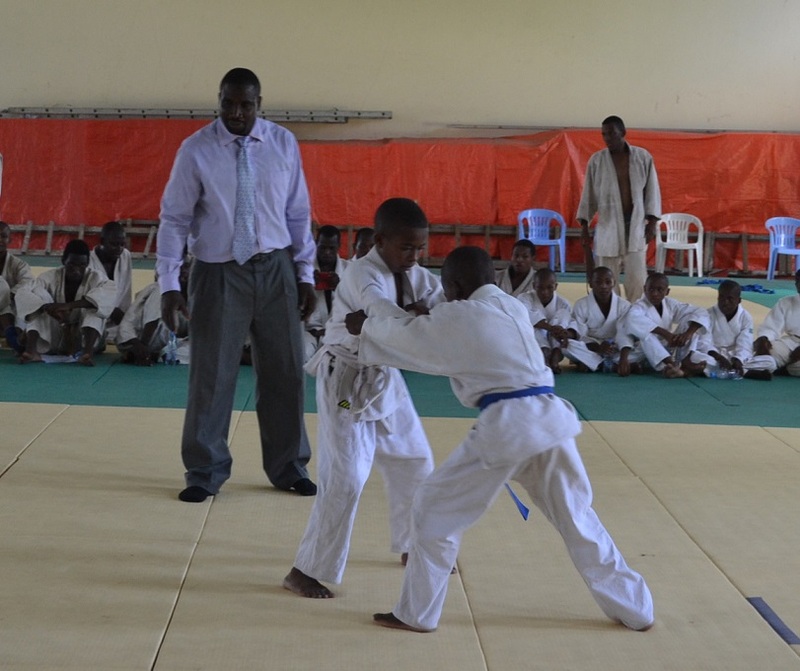 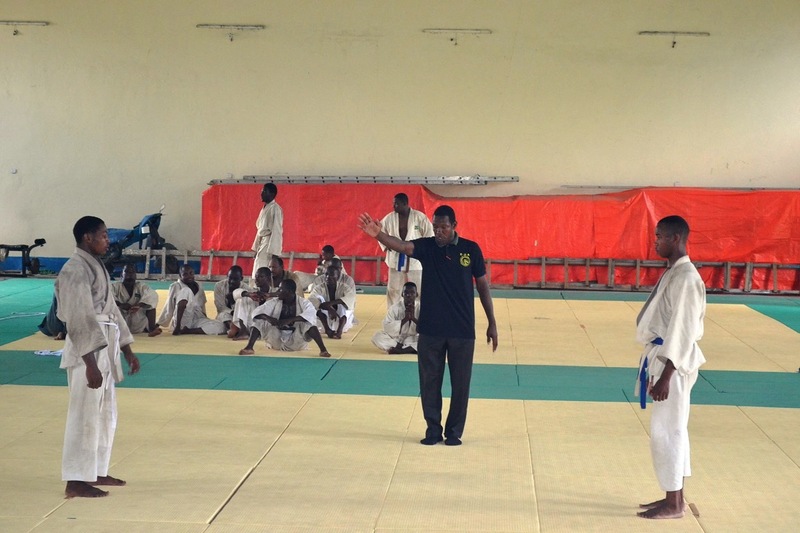 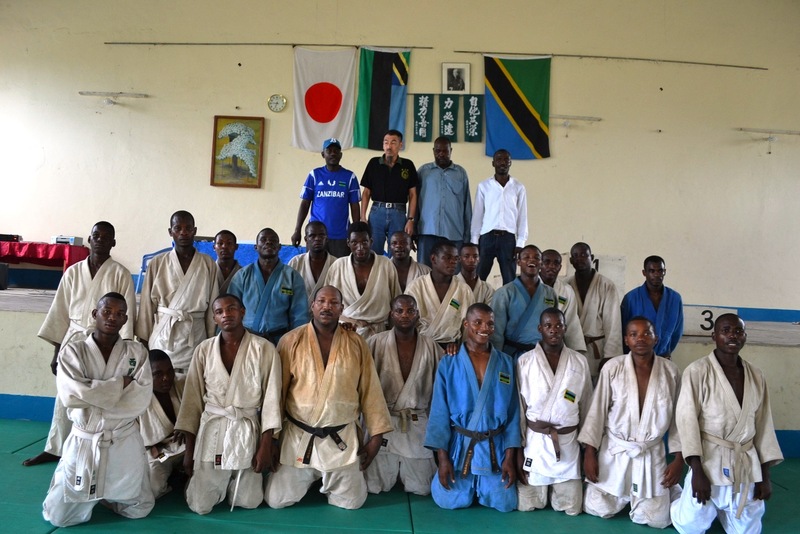 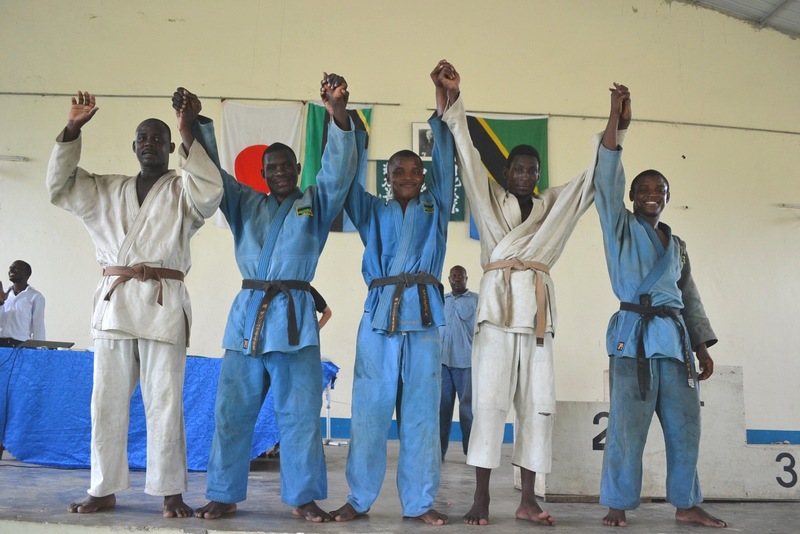 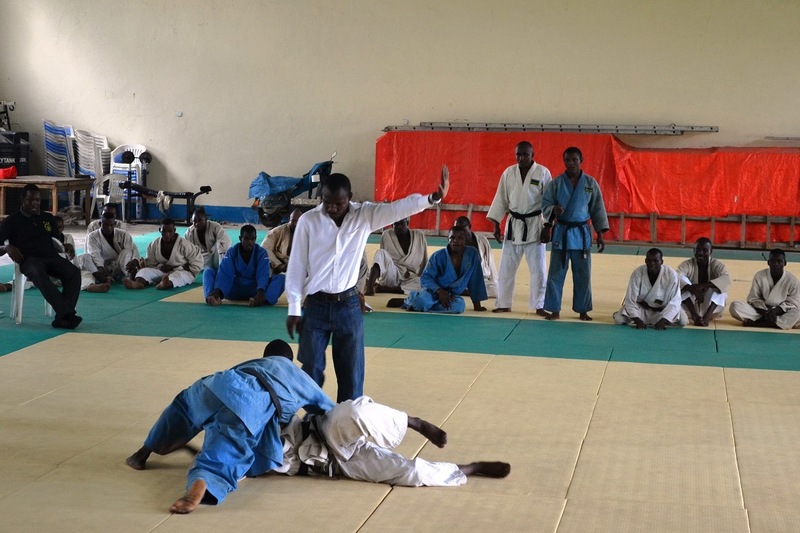 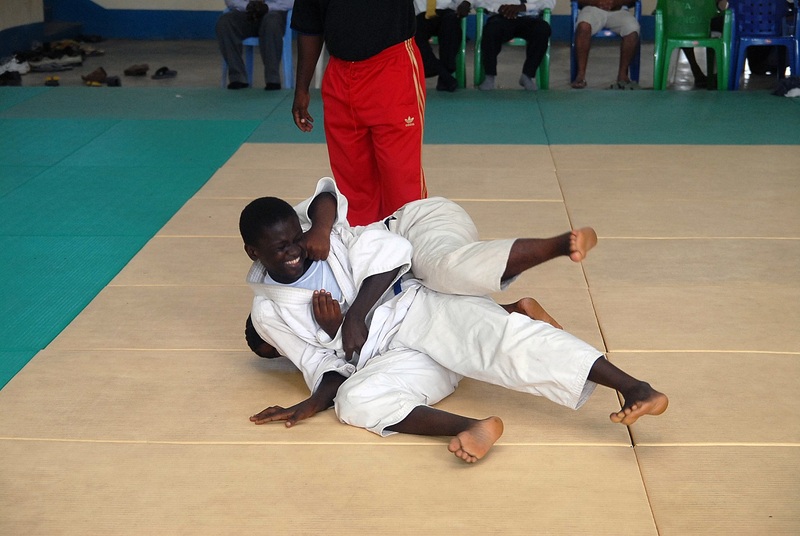 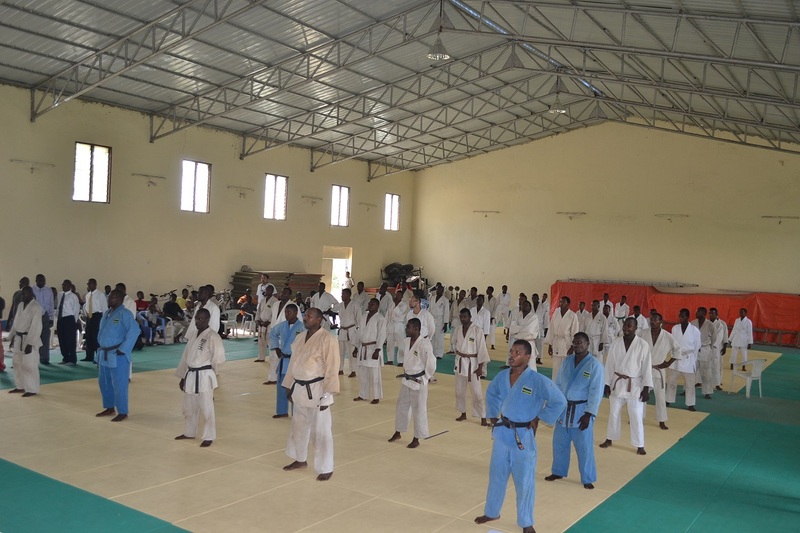 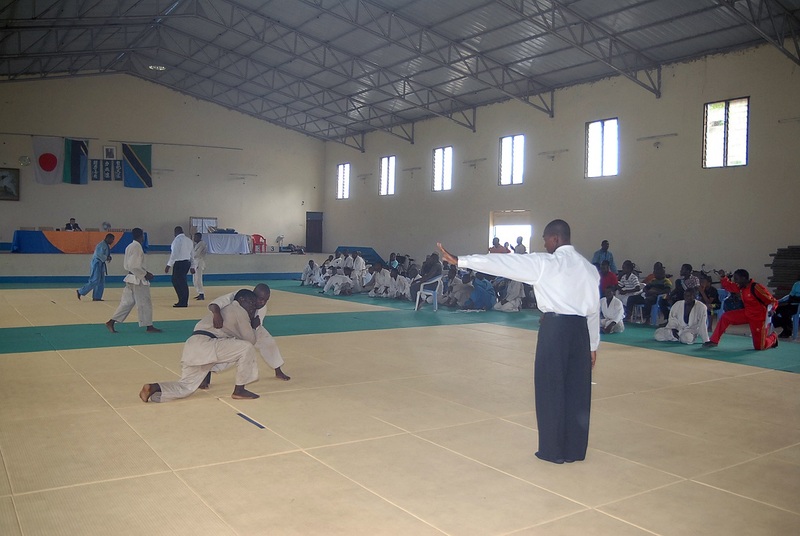 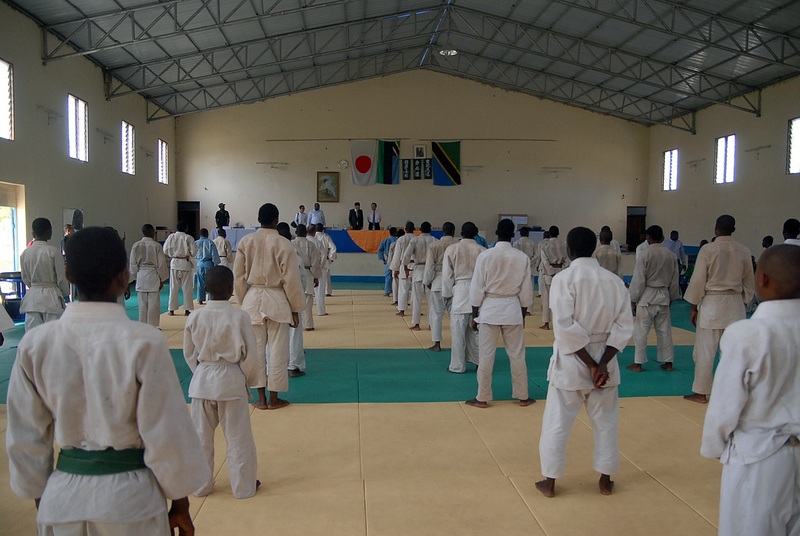 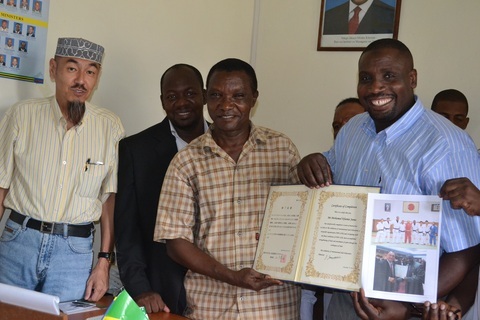 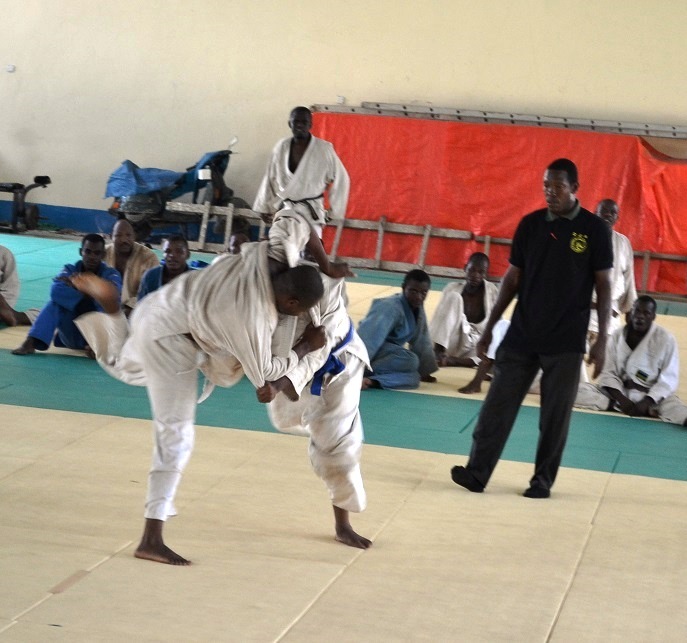 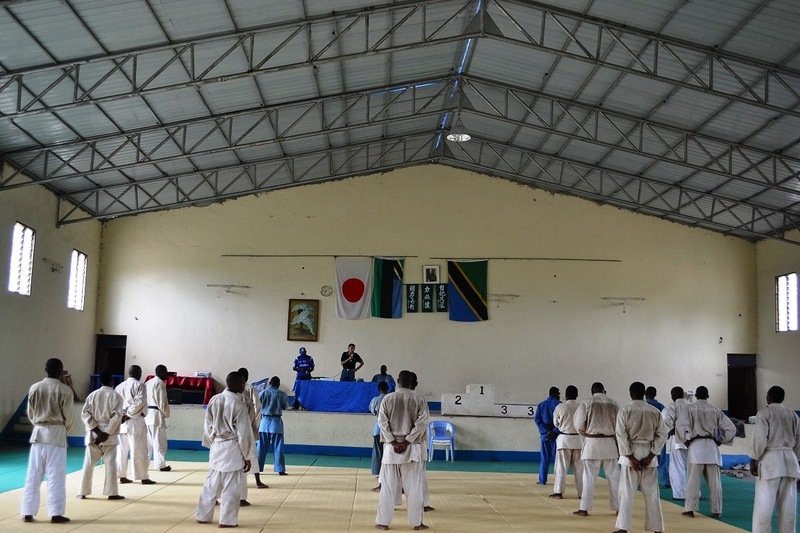 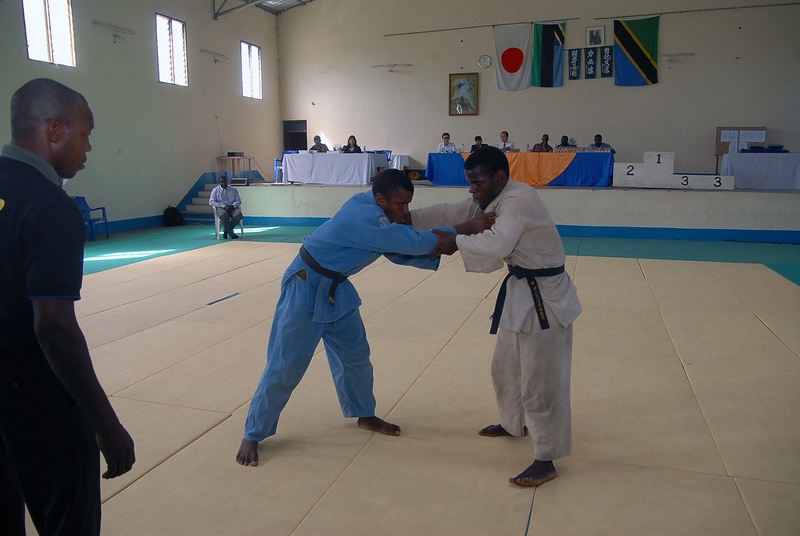 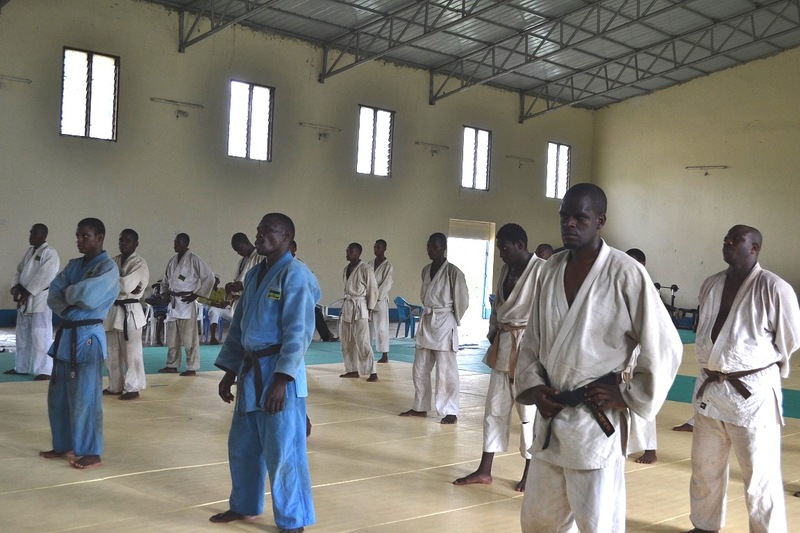 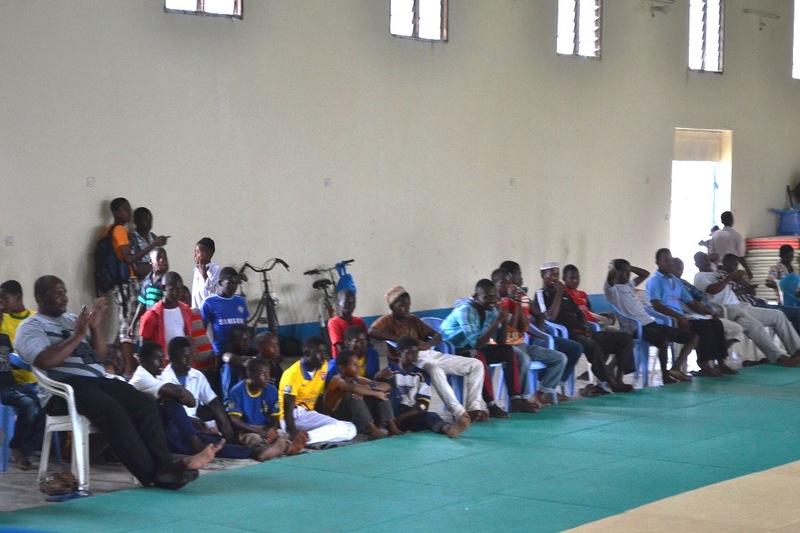 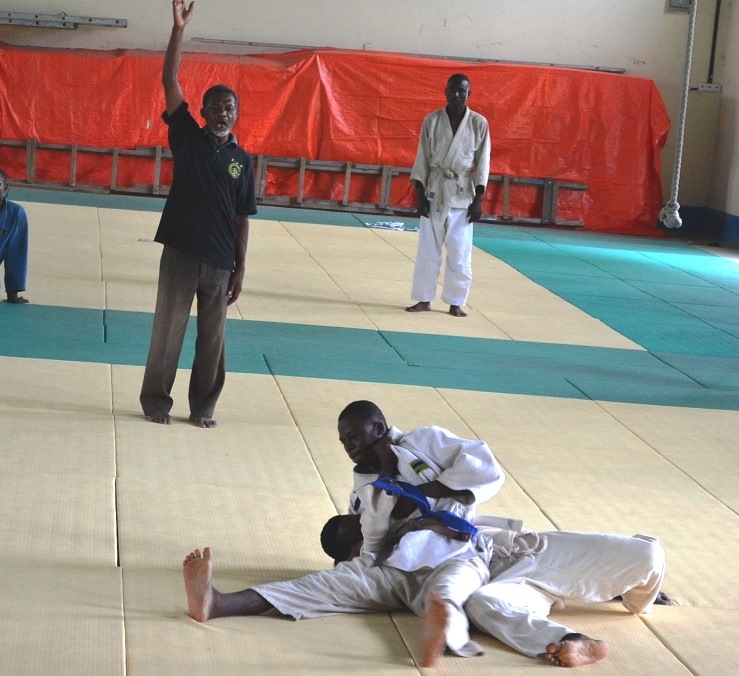 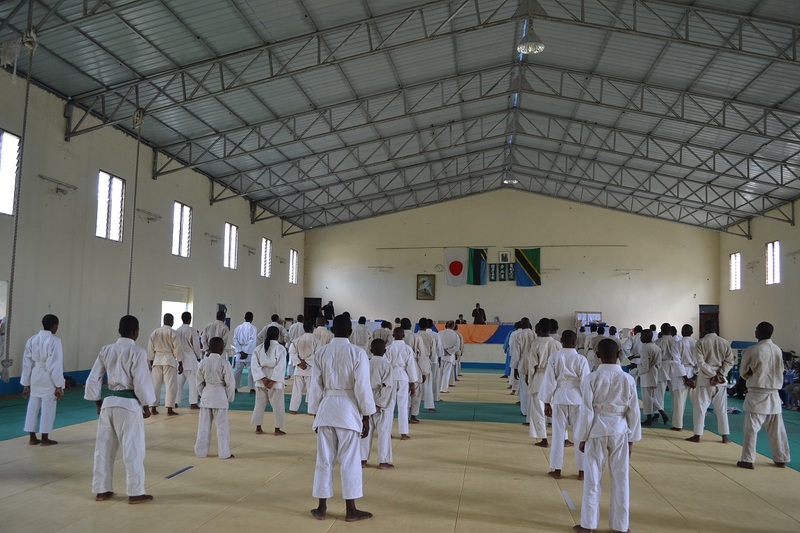 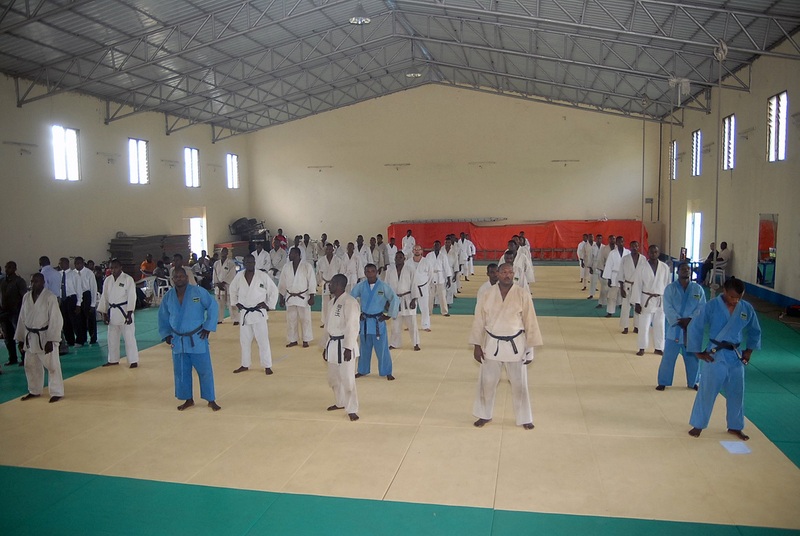 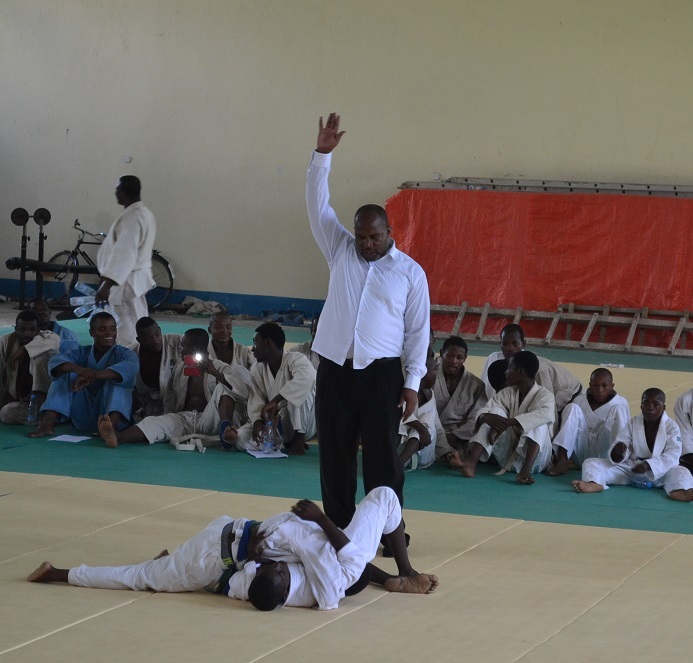 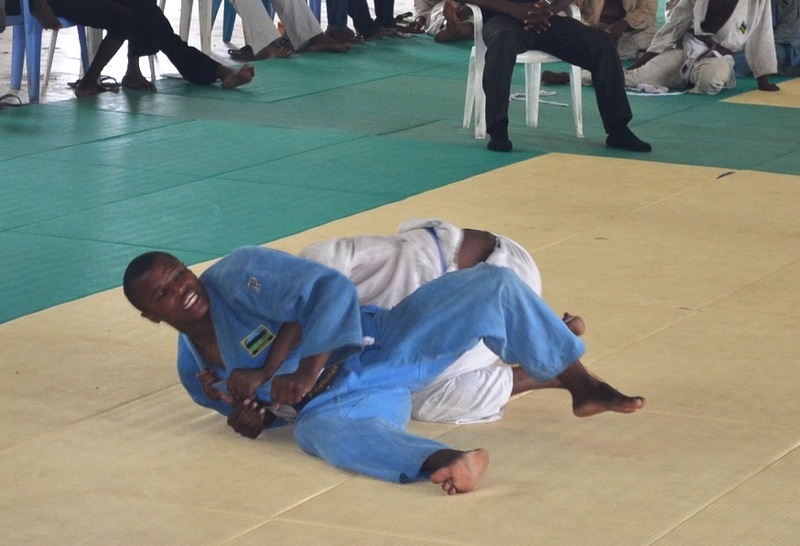 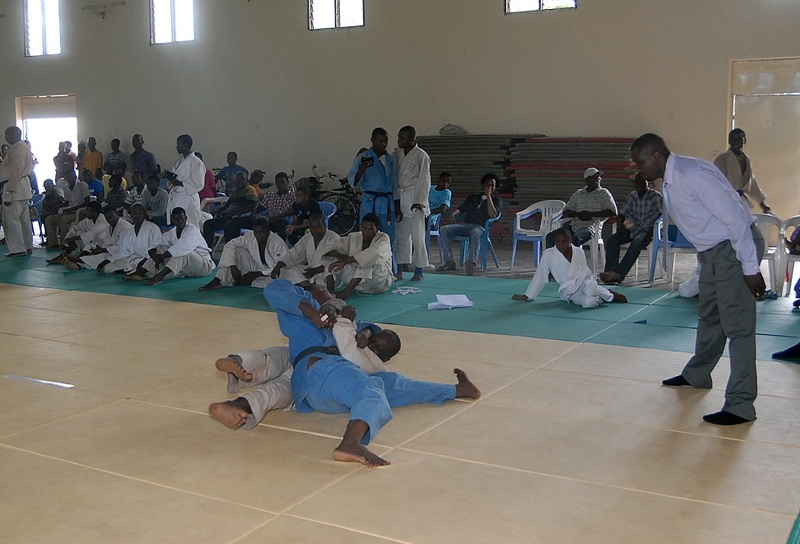 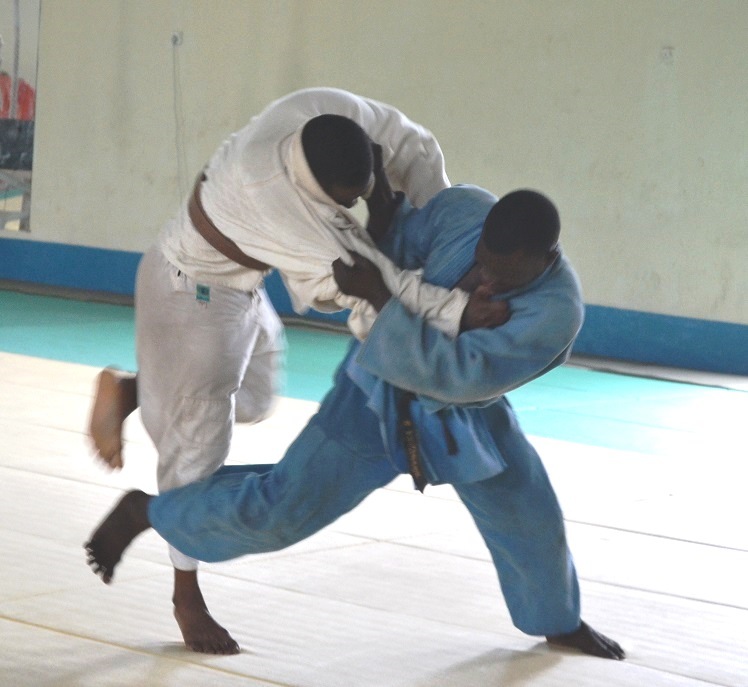 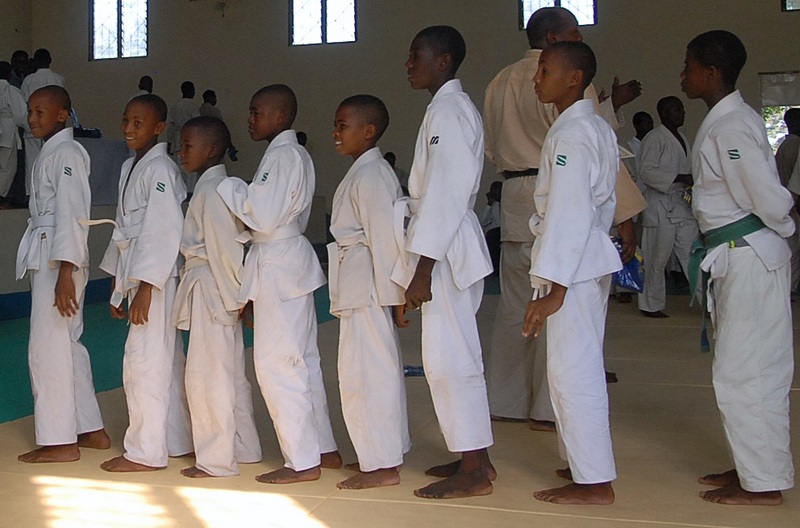 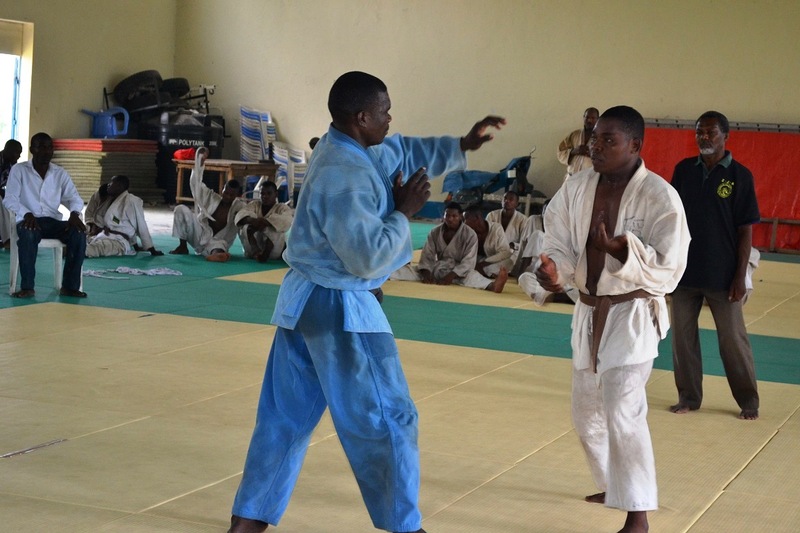 *Pemba Team 11people participated, Zanzibar Budokan Judo Cup2014 ,this is the first competition for them. 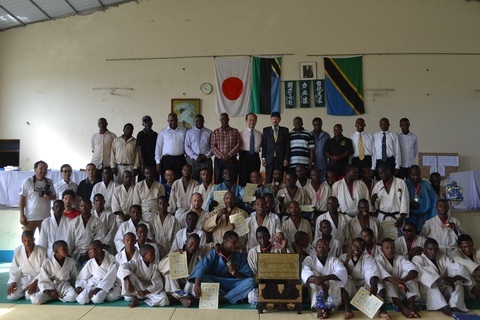 ZJA sent one coach, Mr.Mohamed Khamis Juma to Japan for International Judo Course organized by NPO International Judo Education Solidarity at Kodokan (International Judo Institute, Tokyo and Tokai Univercsity in Kanagawa Japan. 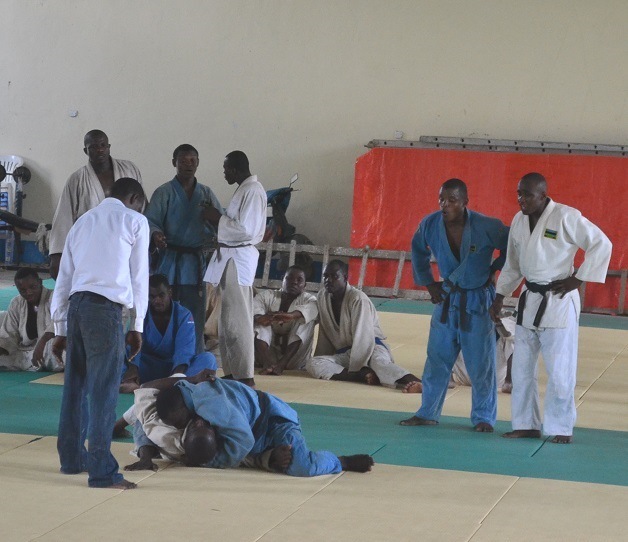 It was very good opportunity for leaning Judo coaching methods and history and discipline and so on. 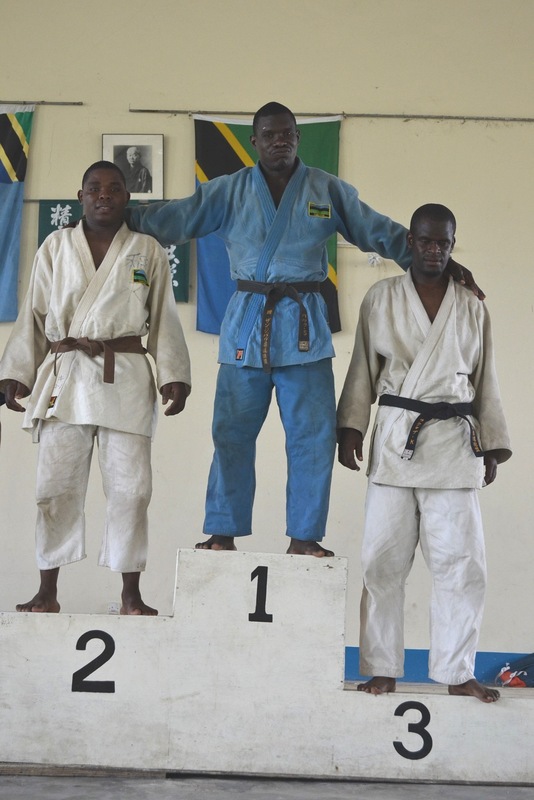 Please reefer to the schedule which is attached this report. 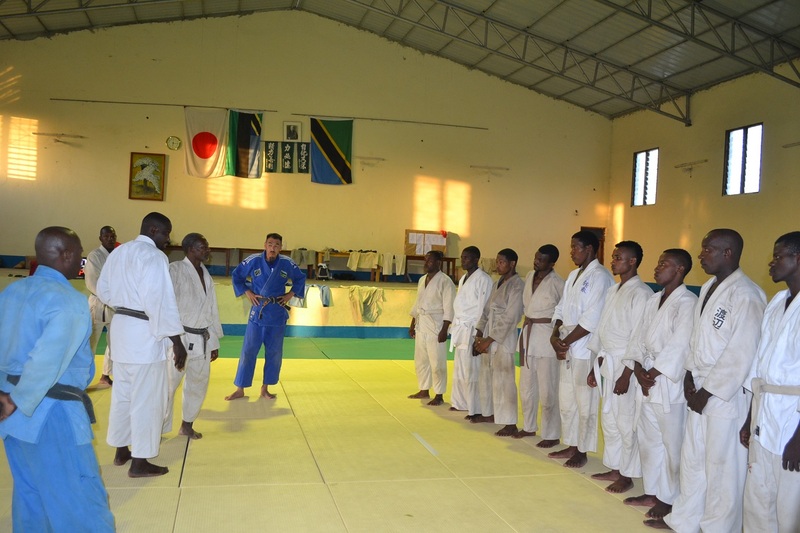 We beleave that Mohamed will be good coach and he will bring developping Judo in this country. 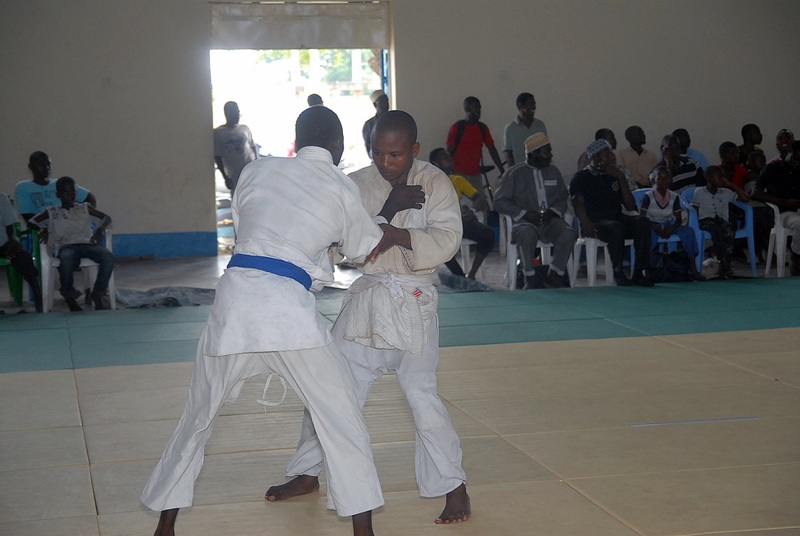 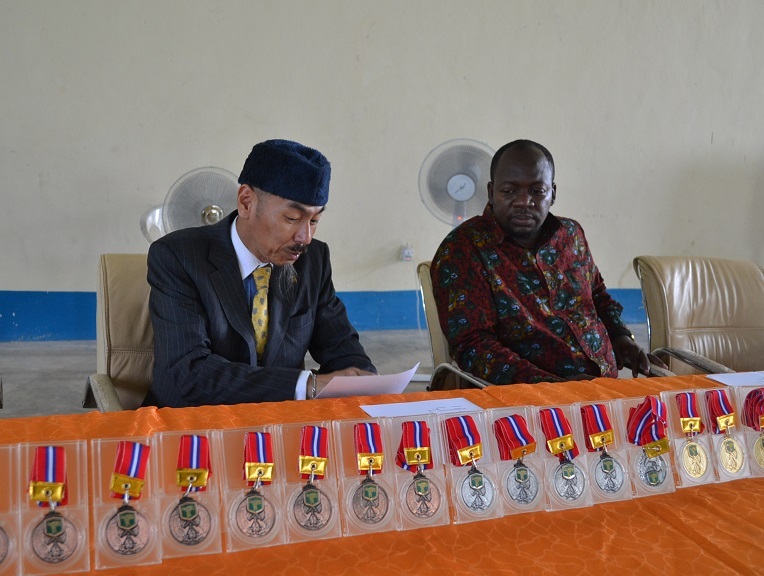 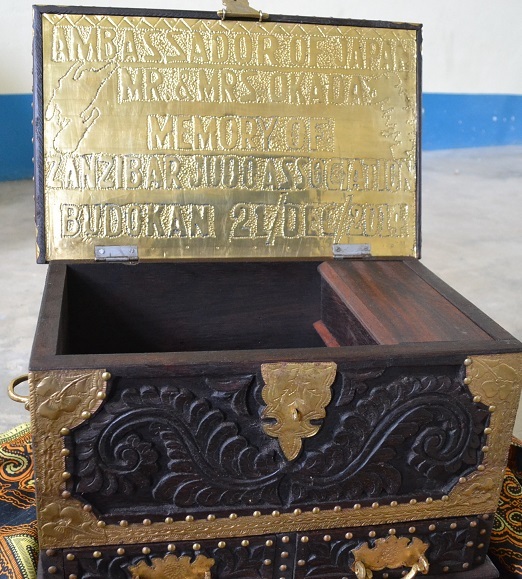 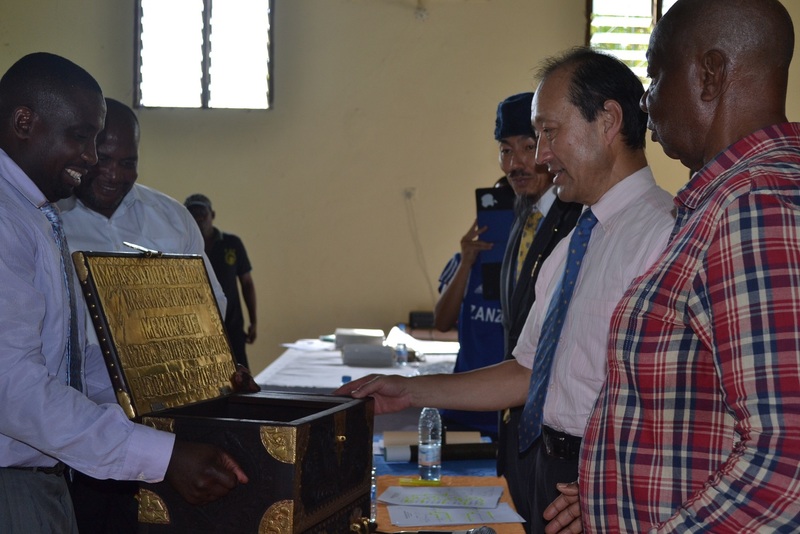 ZJA organized Zanzibar Budokan judo Cup2014 on 21/12/2014 at Zanzibar Budoka situated in Amaan Zanzibar. 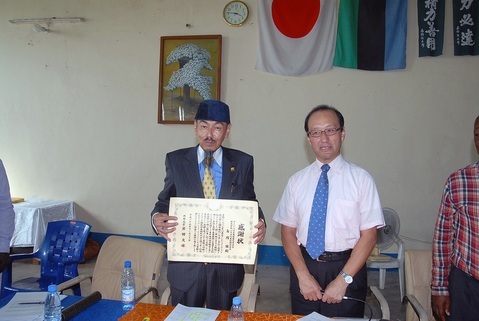 Honorary President of ZJA Mr.shimaoka was awarded Certificate of Appreciation from Minister for Foreign Affairs of Japan. 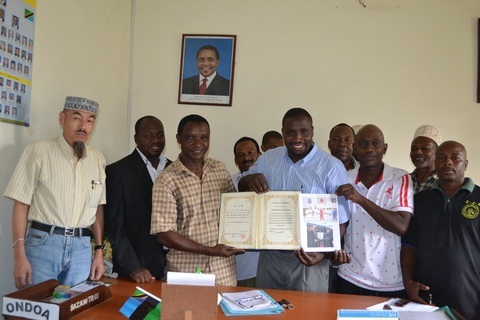 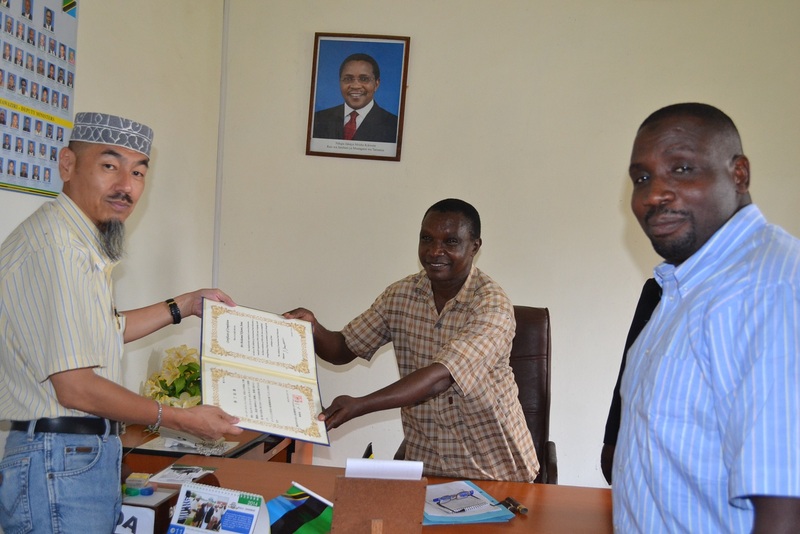 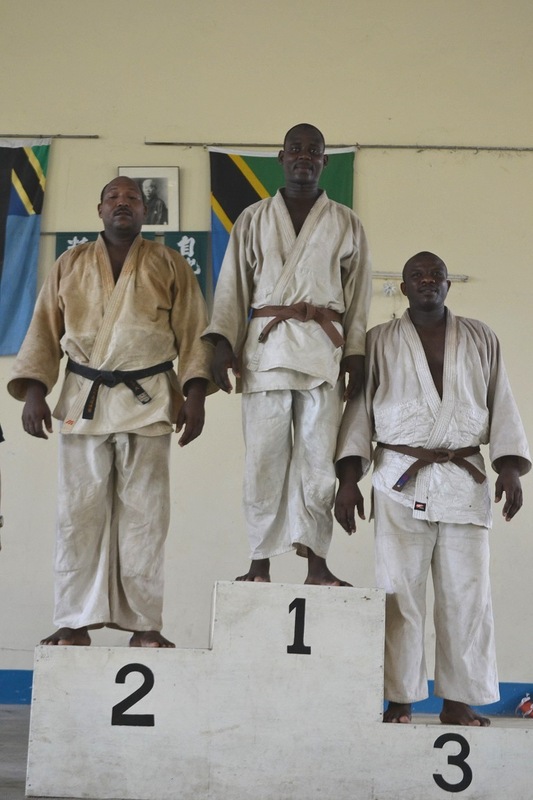 *ZANZIBAR BUDOKAN JUDO CUP2014 is weight category National Judo Championship in Zanzibar and one of Qualifying competition for selecting the National team 2015. 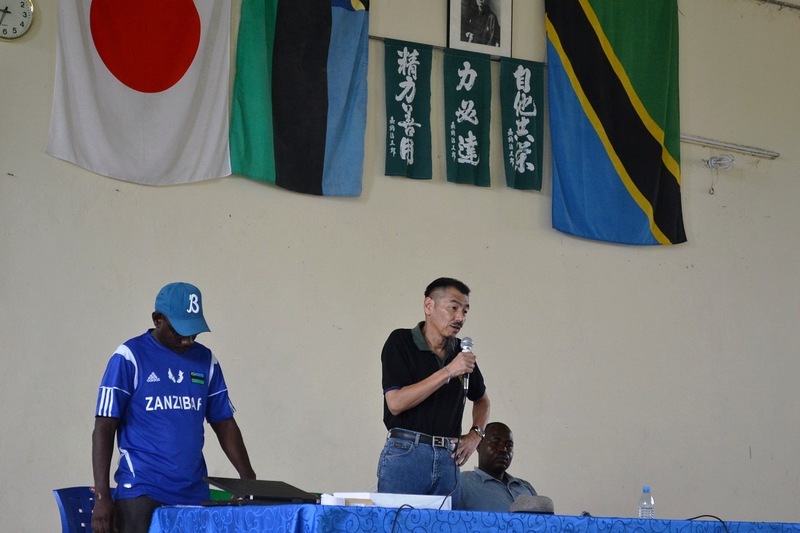 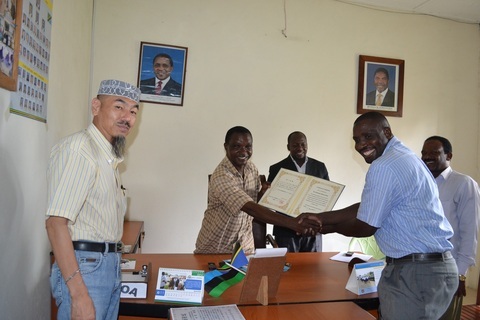 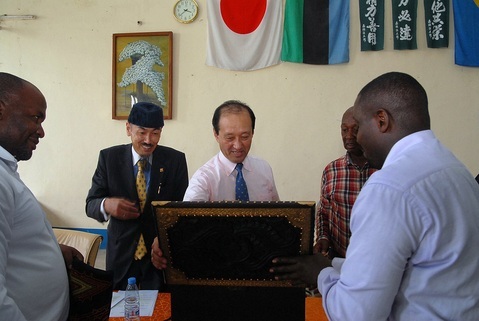 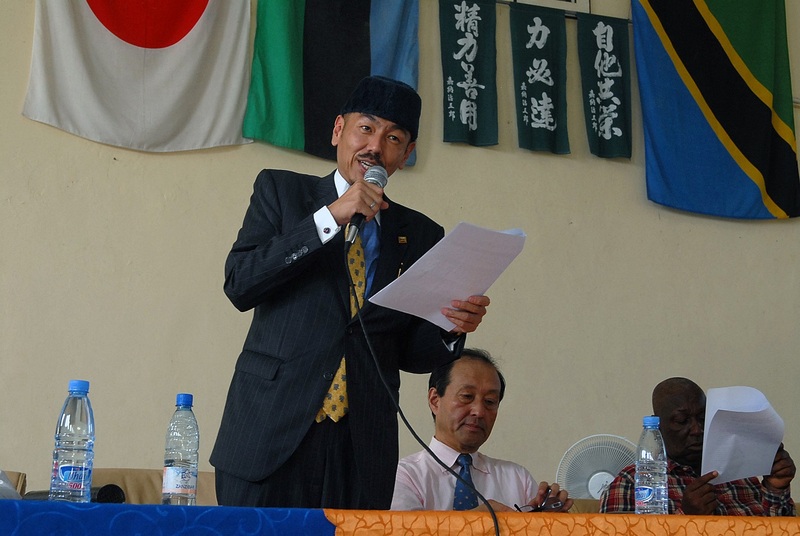 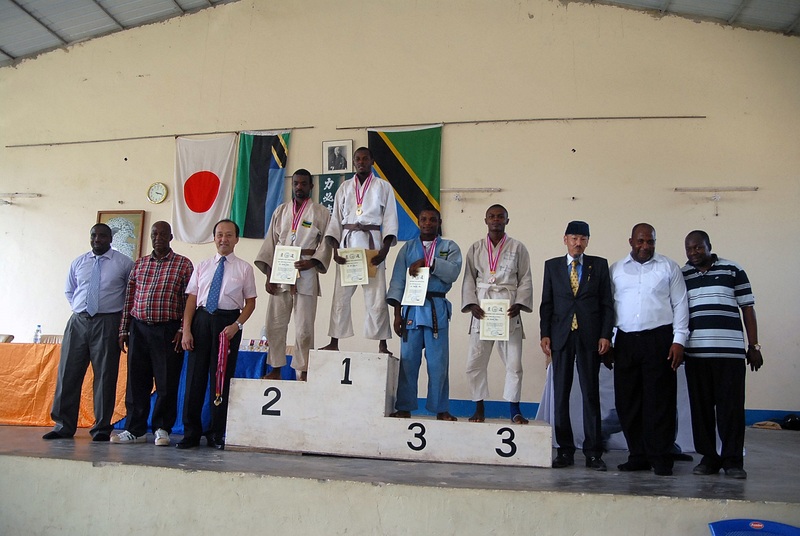 *Zanzibar Budokan Judo Cup has been held by ZJA since 2001, this is the 13th. 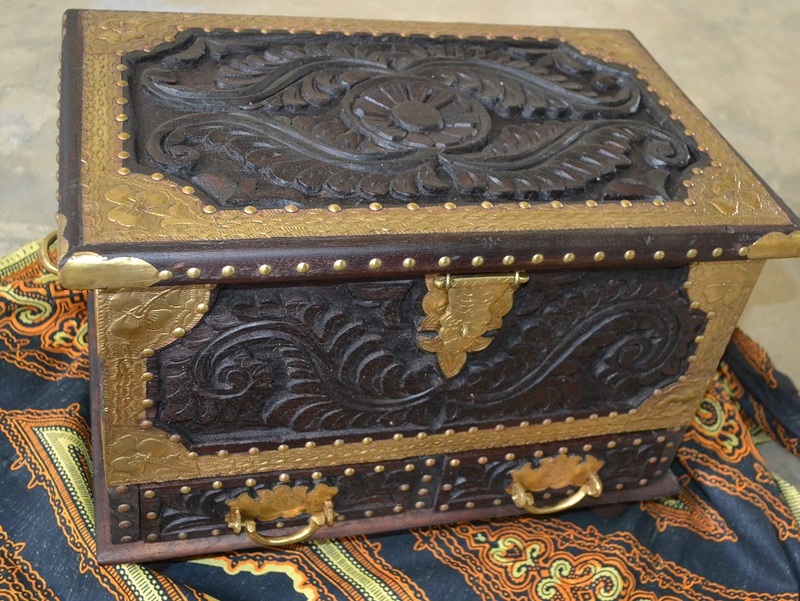 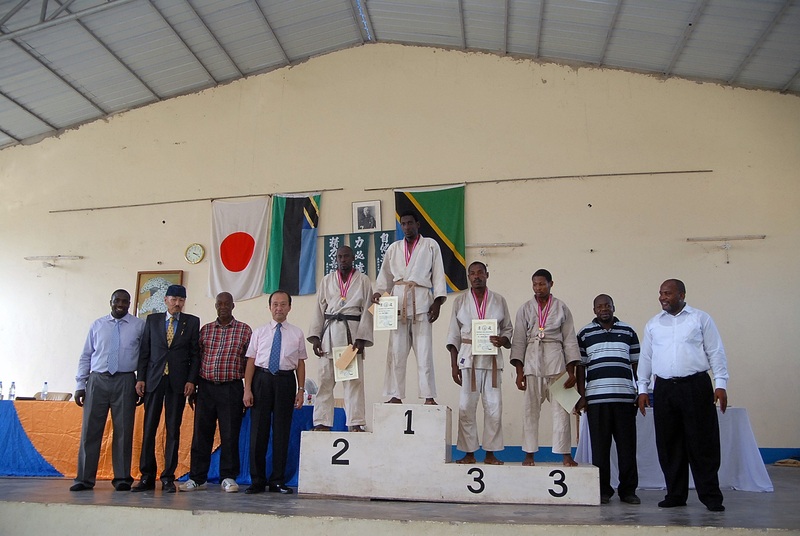 *Pemba Team 11people participated, this is the first competition for them. 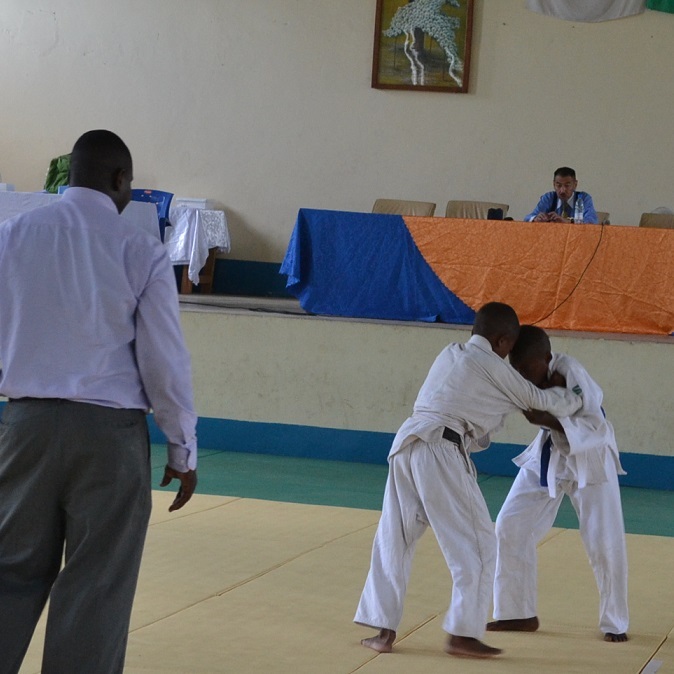 it was so exiting Judo Championship.! 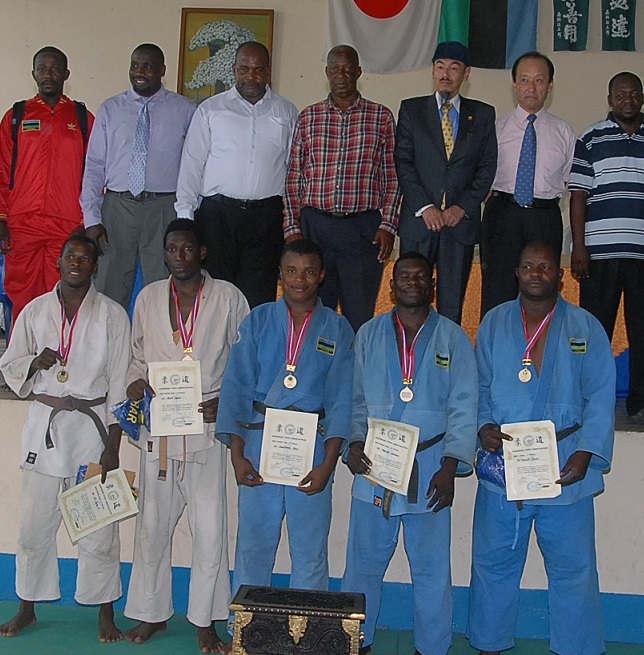 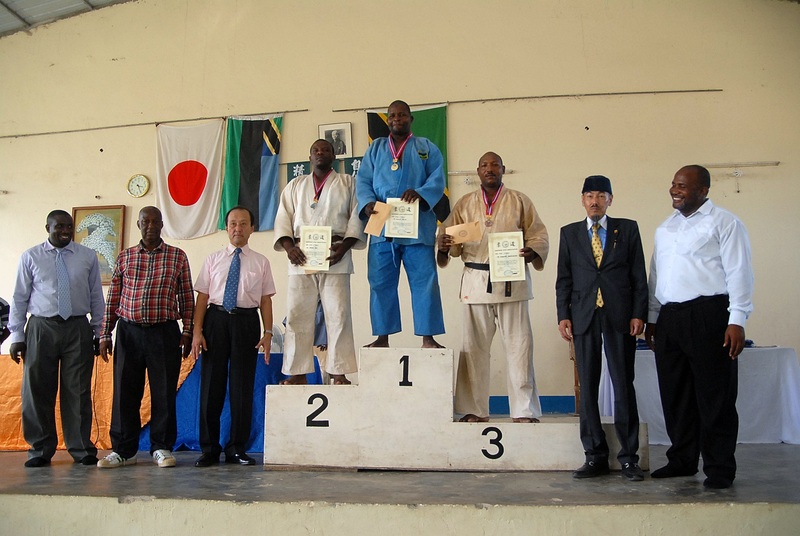 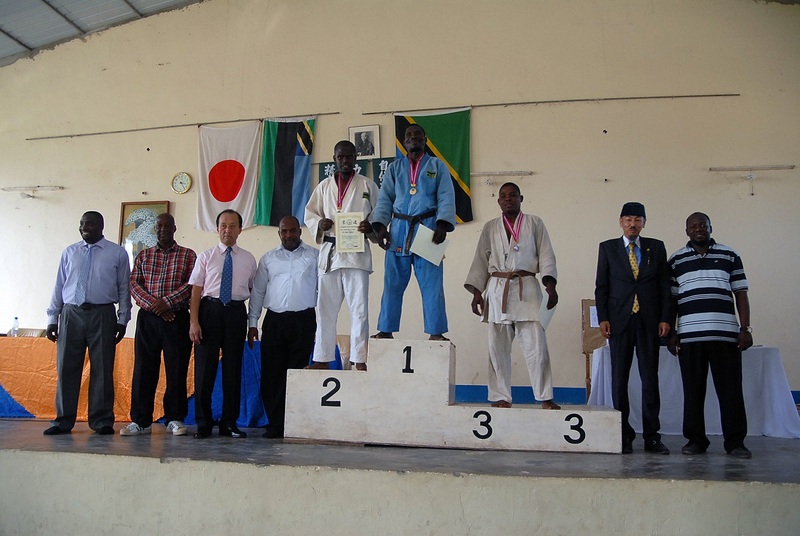 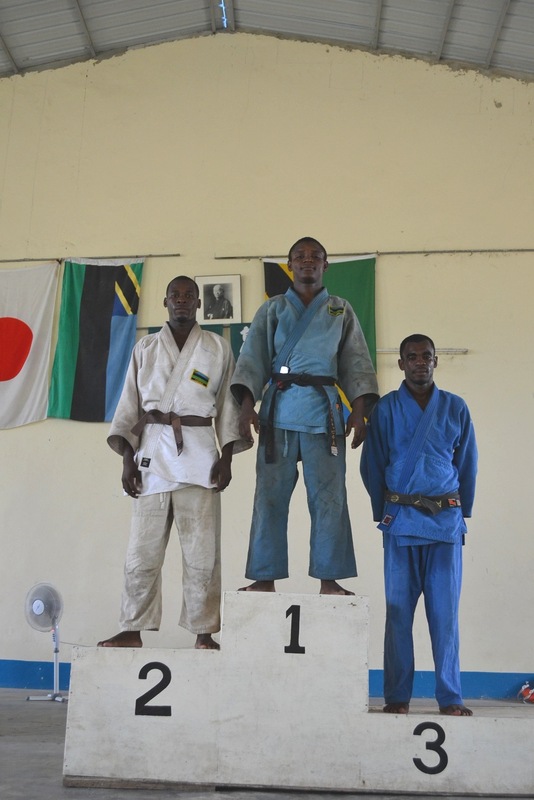 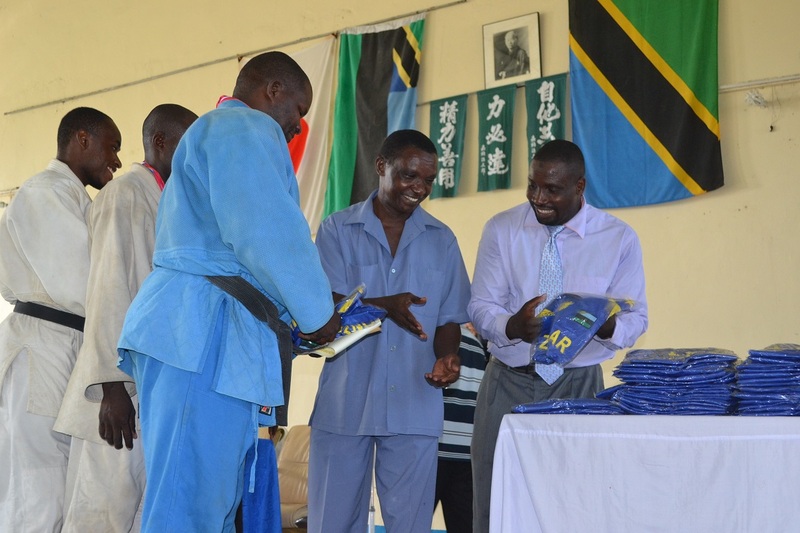 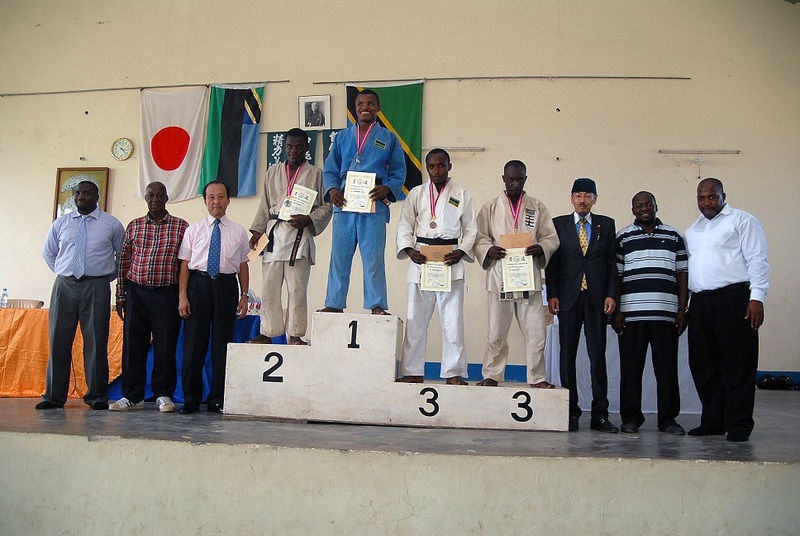 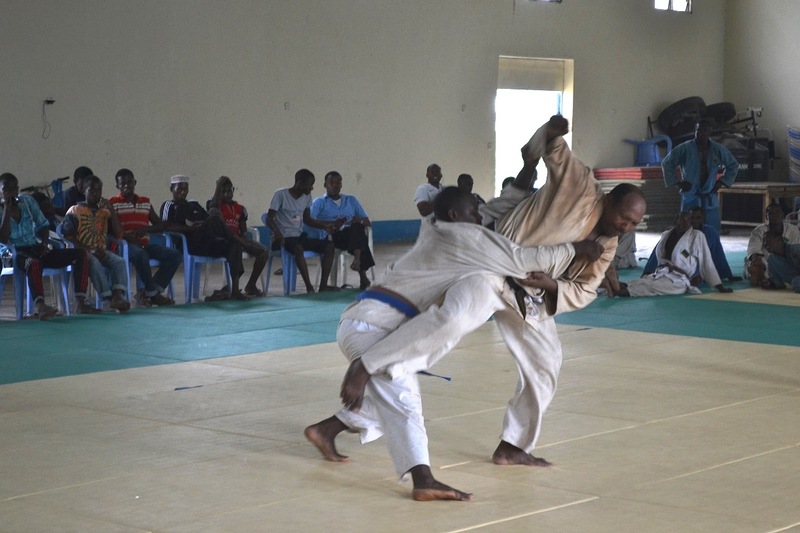 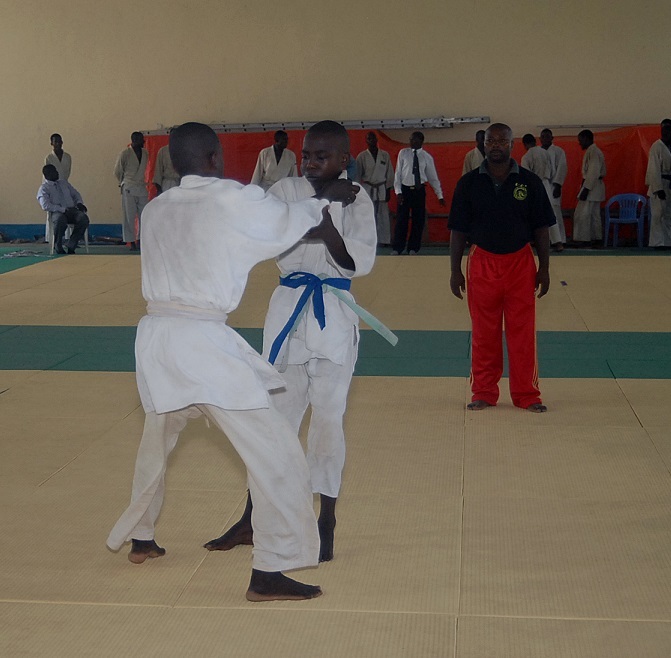 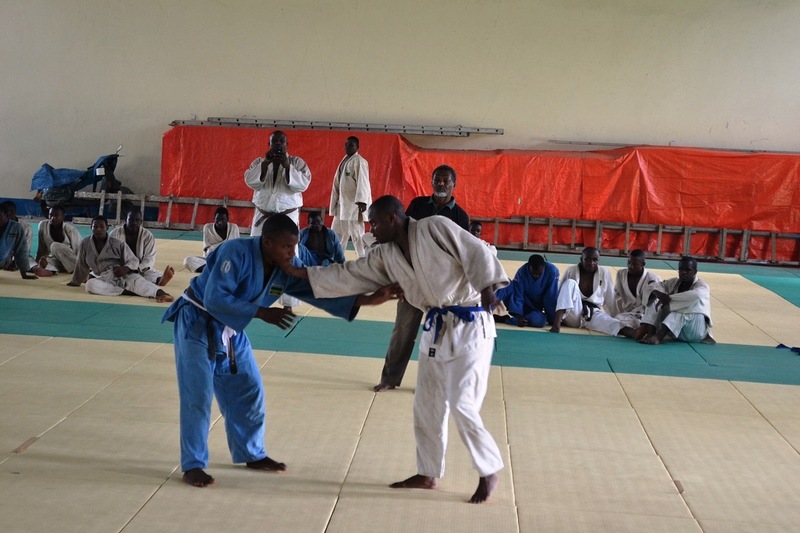 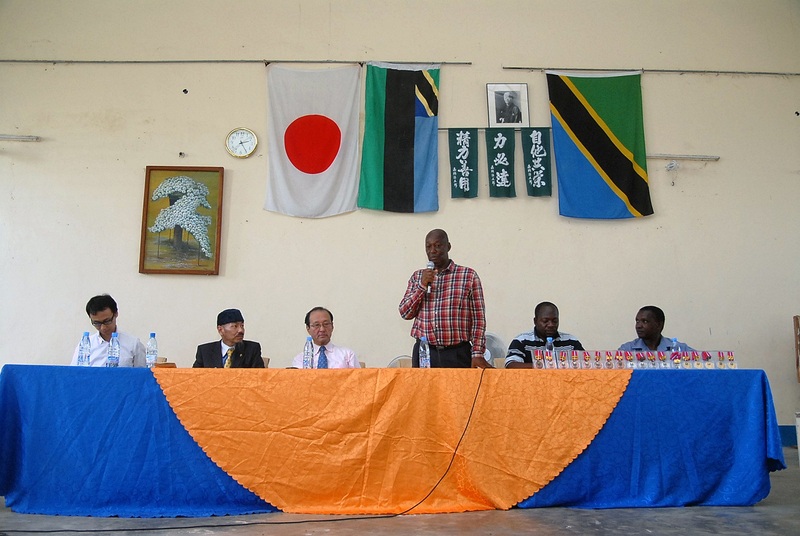 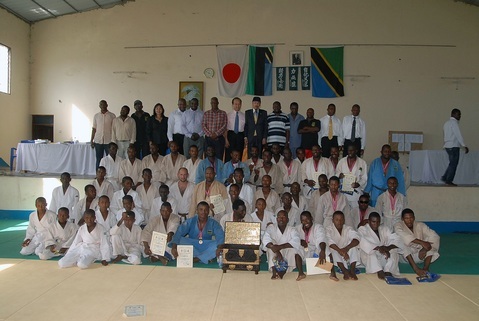 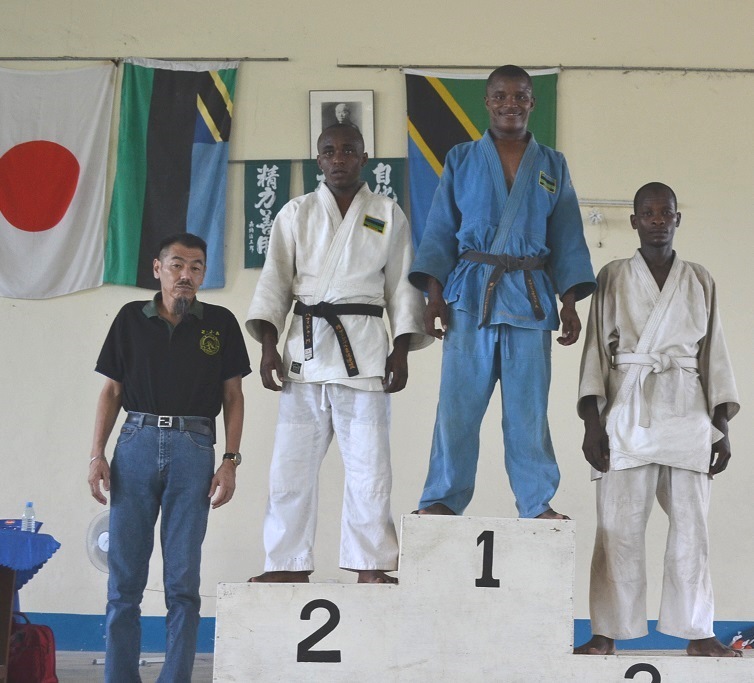 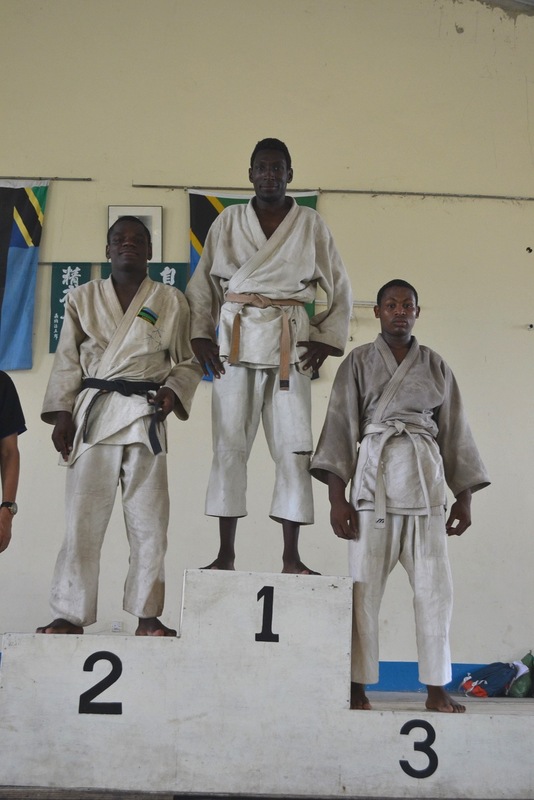 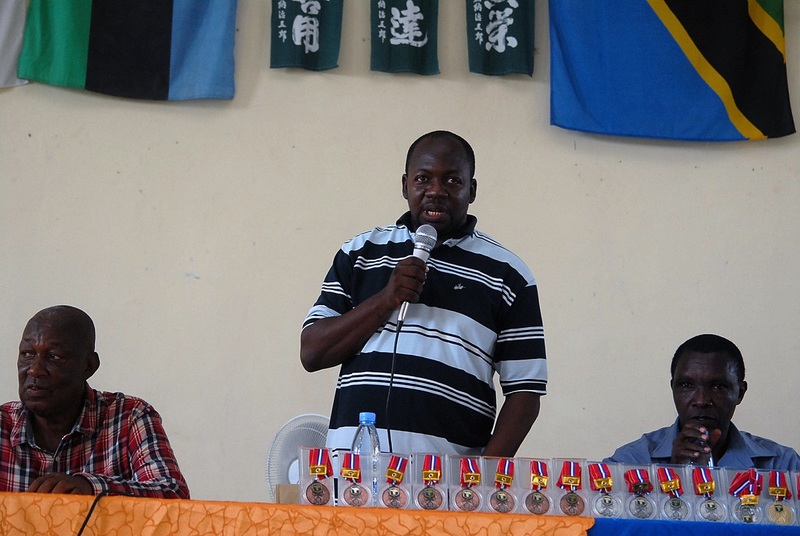 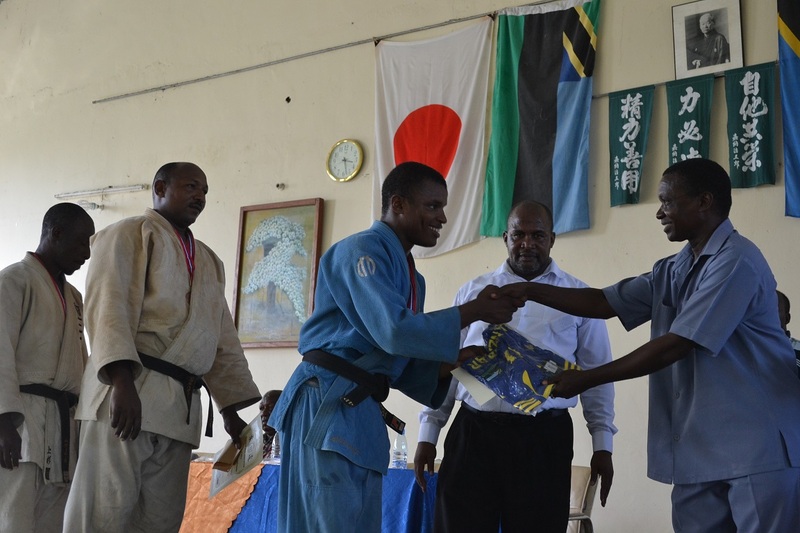 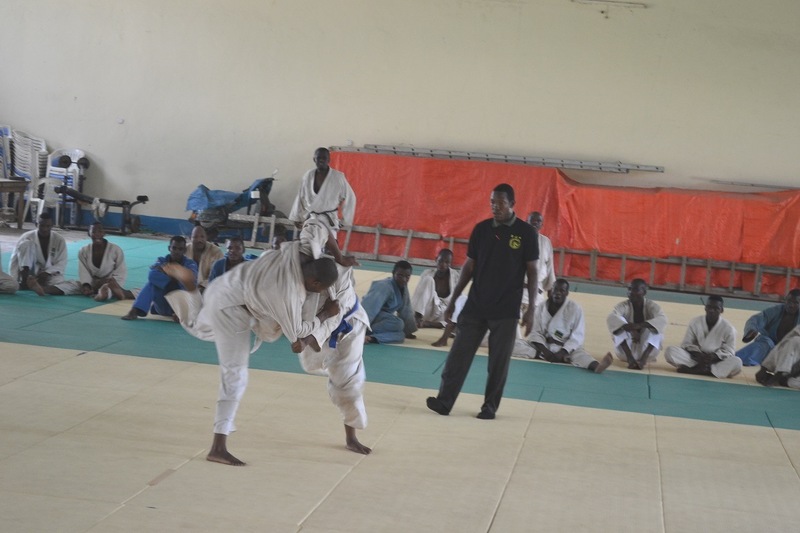 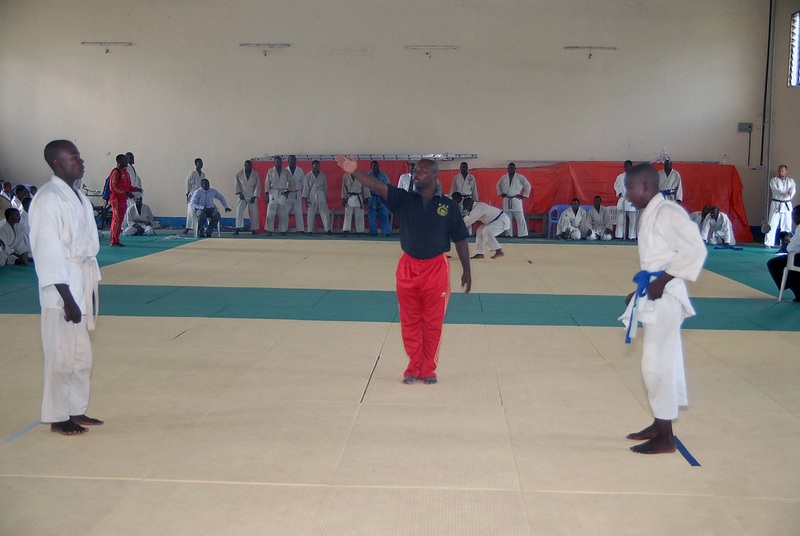 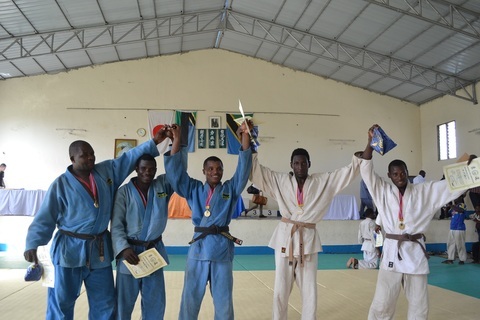 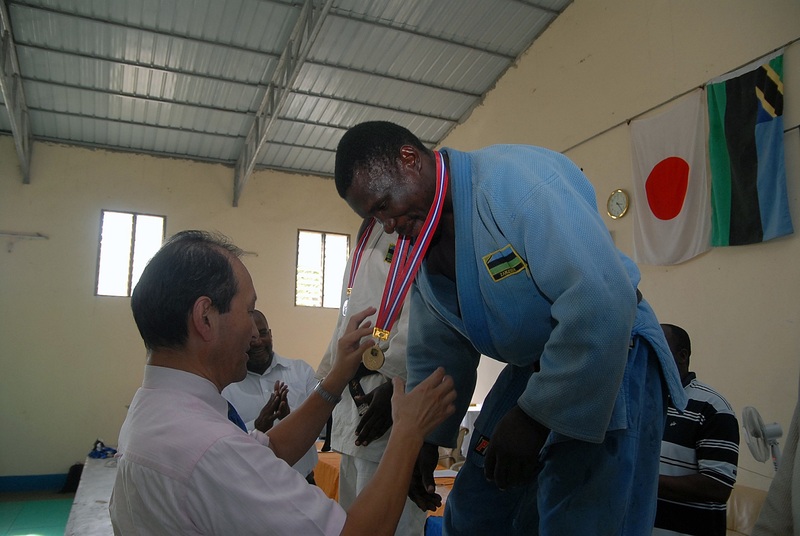 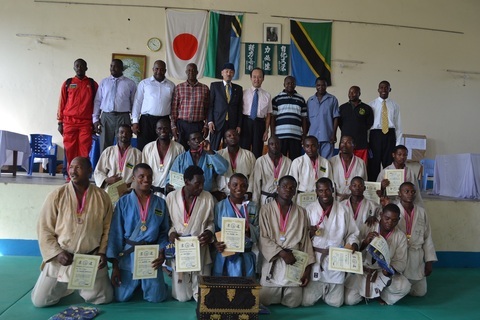 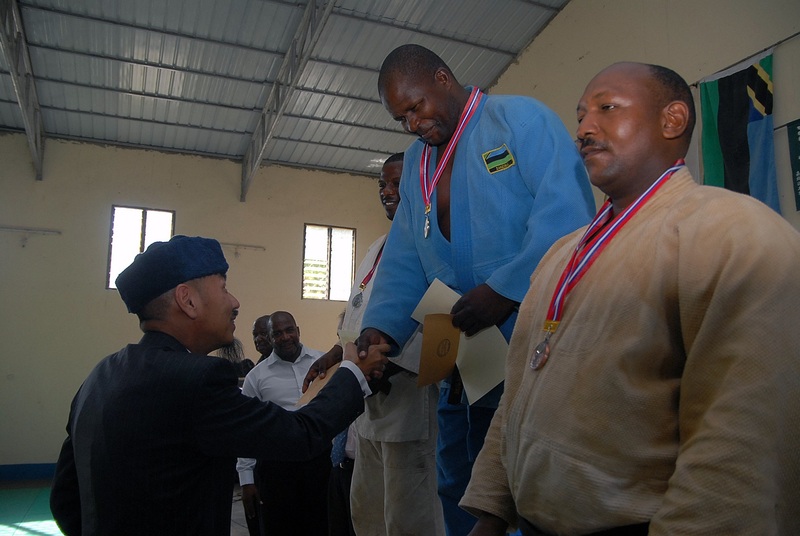 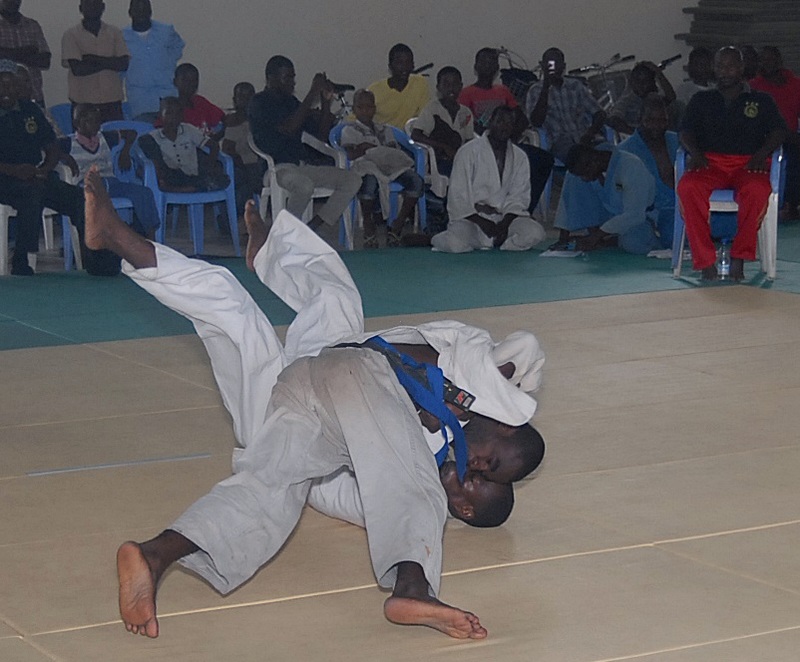 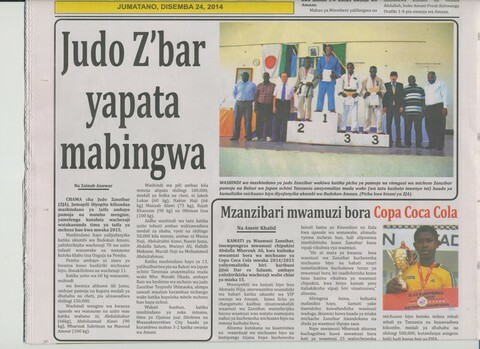 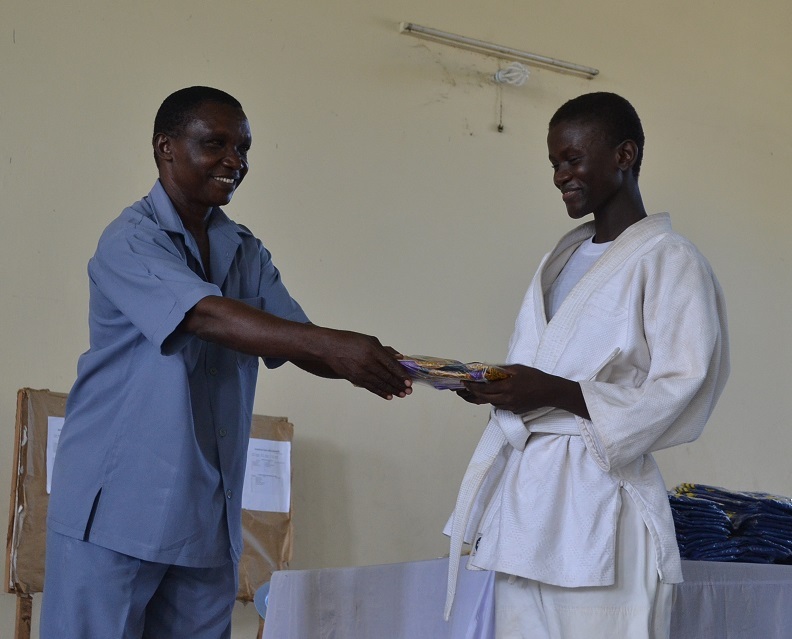 Zanzibar Judo Association organized the 2nd Zanzibar Judo Ranking competition on 31/11/2014 at Zaznibar Budokan. 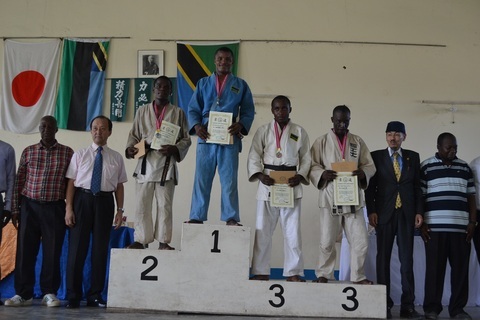 From 1st to 5th winners of each category got points. 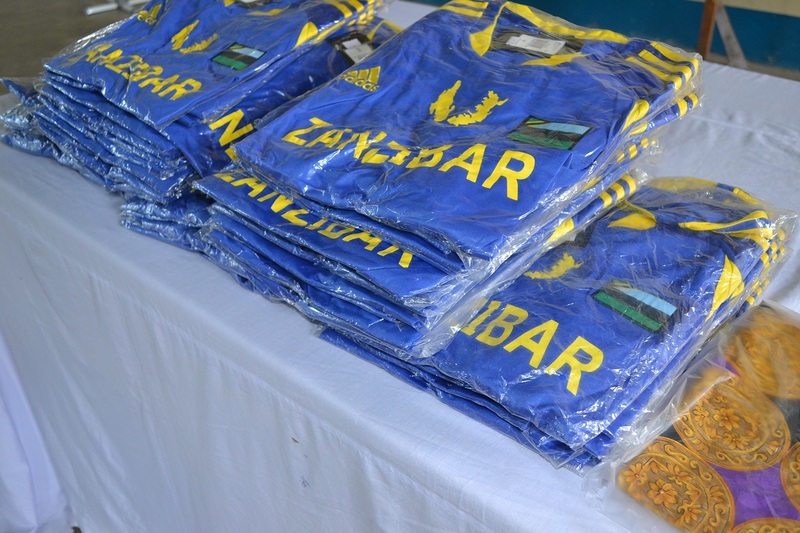 Those result will be reflected onto the selectiion of National team members.